As the first woman to lead a Fortune 500 company and the first woman to join the race for the 2016 Republican presidential nomination, Carly Fiorina's views on issues specific to women will be thrust into the spotlight, especially when we take into account the women's rights stances of her only current female rival, Hillary Clinton. Fiorina, who served as the CEO of Hewlett-Packard from 1999 to 2005, will no doubt champion herself as an advocate for women — a platform she has been scaffolding in recent years. This includes highlighting her successful rise from real estate secretary to business executive; pimping her women's empowerment organization, Unlocking Potential Project; and focusing on creating more opportunities for women, instead of what she considers the false Democratic narrative of a GOP "War on Women." Fiorina will certainly be an intriguing candidate to watch over the next year. While her chances of winning the Republican nomination aren't as good as racehorse American Pharaoh winning the Triple Crown, the hypothetical Clinton-Fiorina match-up would bring about a new perspective on American women and give Fiorina the chance to test her own theory: that there are no battles being waged against women's rights in the United States. Bustle has already delved into Fiorina's position on abortion. Here's a look into her views on birth control and its accessibility to American women. Where Fiorina, Clinton and millions of other American women most likely find some common ground is their overall view of women's issues. At the 2014 Conservative Political Action Conference (CPAC), Fiorina delivered one of her greatest taglines yet: "All issues are women's issues," Fiorina said. "We are half of this great nation." We know that every issue is a women’s issue. That’s contrary to the Democrat propaganda that women care far more about reproductive rights [than anything else]. Fiorina came out in support of the Supreme Court Hobby Lobby ruling, which gave the for-profit crafts company the right to deny its female employees four types of birth control, including the IUD, because of the deeply-held religious beliefs of the company's owners. The businesswoman found herself in a particularly sticky situation when discussing the ruling on CNN's State of the Union last July. "The women of Hobby Lobby had access to contraception through their company insurance plan before Obamacare; they have access to contraception — 16 forms of it — after the ruling," Fiorina said at the time. "But somehow, you know, this is the long arm of business and the Republican party reaching into the body of women. It’s ridiculous." Liberal radio host Stephanie Miller fired back, "This is not just a war against women, this is a war against science, Carly." 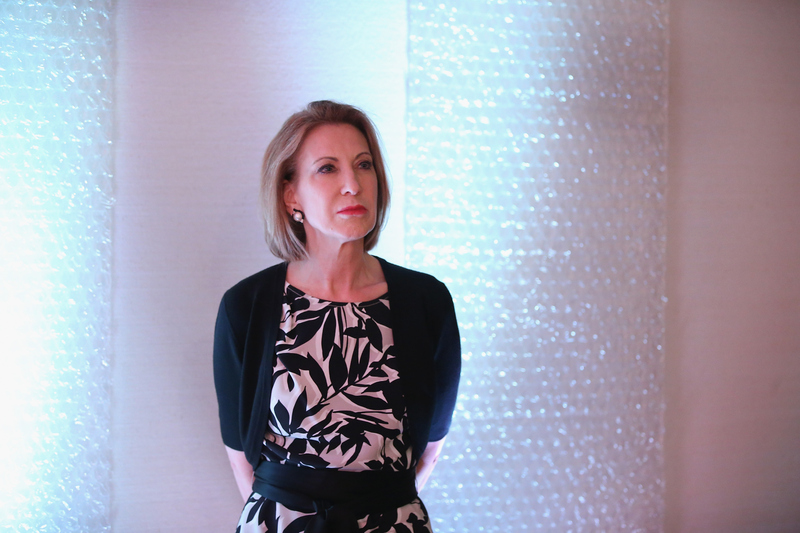 “Oh, for heaven sakes,” Fiorina said. Will Fiorina's support of the Hobby Lobby ruling, which has since been expanded to all forms of birth control, harm her popularity among female voters? While some women may agree with Fiorina that there is no "War on Women," the Hobby Lobby case has become a significant talking point among American women. And according to The Hill, a July 2014 survey from Hart Research Associates, a Democratic polling firm, found that 58 percent of female voters between the ages of 18 and 55 opposed the ruling. An overall 72 percent of women surveyed said the Hobby Lobby ruling was a very important issue to them. And What About That No-Copay Birth Control? Speaking of Hobby Lobby, that whole thing was sparked by the Affordable Care Act HHS mandate, which required health plans to offer no-copay birth control. It's not exactly free birth control, as some right-wing politicians have claimed — including Fiorina. "We are not waging a war on women simply because we believe there is no good reason for birth control to be free," Fiorina said at CPAC in 2014. Fiorina has yet to give a conclusive reason why birth control shouldn't be affordable or accessible to American women. But, you guessed it — Fiorina has said in past interviews she believes the ACA needs to be repealed. That includes eradicating the no-copay contraception mandate.